Call of Duty: Black Ops 4 released in the early hours of this morning, and players are already discovering new features. 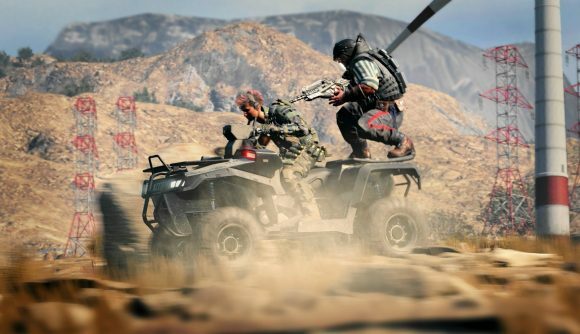 One of those is that the game’s battle royale mode, Blackout, allows for two-player splitscreen multiplayer. Several people who picked the game up overnight have posted to the game’s subreddit confirming that Blackout allows for at least two players to play the Call of Duty battle royale on the same screen. Last month, the game’s design director, David Vonderhaar, said Black Ops 4 developer Treyarch was “testing [splitscreen] now, and that the feature was “very feasible” in an interview with GameInformer. It was safe to assume that Black Ops 4’s other game modes would continue to include splitscreen, but it wasn’t until last night that it was confirmed for Blackout. A Reddit post shows two players dropping into the game’s battle royale, with a screen split in half and each player looking at different areas of the map. It’s not too surprising that Treyarch would include splitscreen across their entire game, it is more or less a first for battle royale. Sadly, it seems that this currently isn’t an option on PC. PlayStation 4 and Xbox One users will likely have multiple controllers, allowing them to simply plug an extra one in and hit a button to activate splitscreen. On PC, you would need to have a controller alongside your mouse and keyboard. It’s possible that Activision introduce splitscreen for PC further down the line, but don’t hold your breath. If you’re yet to pick up the latest Call of Duty, check out our Black Ops 4 PC review. If you’re already playing, take a look at our Blackout tips – they should give you a hand when it comes to securing your very first first-place finish in the Call of Duty battle royale.